Our professional, creative designers create digital content including calls-to-action, eBooks, and other important graphics for your website. Our designers have the experience and expertise along with a developer know-how so your website will look and feel the way it should. Their goal is incorporate functionality along with today’s modern touch while still following the style you want, seamlessly. Our team of designers and developers are the driving force behind the visual content on your site. They are extremely creative and able to think outside the box to solve problems by finding the best solutions for your marketing campaigns. Their end goal is getting you the very best results. Every step they take is focused on inbound with performance and conversion optimization at the top of the list. All this will be accomplished while seamlessly incorporating your brand’s style. Our team consists of some members that are focusing entirely on design and others are focusing on development. Some of our team members have strong backgrounds in both fields. Creating and/or modifying your blog, landing page, and email templates. Making your existing collateral more modern. Implementing new and better conversion points on your site. Provide the very best photo editing for your web pages. Developing: Work on the sites optimization of your including your landing pages and email templates. Move your website to HubSpot’s COS. Build top of the line web tools including ROI calculations, pricing pages, your products catalog and so much more. Work exclusively in HubSpot’s back-end. 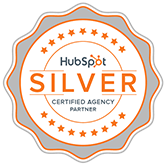 Our developers are pros and know every aspect of HubSpot to guarantee the very best results. Our developers work closely with the marketing and sales teams to create the very best material for your marketing campaigns. We are so unique and this will only benefit you! Our designers come in every shape and size but if you are looking for a designer who will focus on taking your site’s inbound initiatives to the next level, we have exactly what you are looking for. We are customer fanatics and will totally focus on what will increase your ROI. We are not just some service; we are a partnership and a group effort that will take what you like and what you do not like in to account every step of the way.